We don't know about you, but we're absolutely thrilled to be launching out all these new products, especially as we approach the end of the year. In case you don't follow us on social media, let us take the time to bring you up to speed. Have you ever noticed that we don't have a true menthol blend? It's usually a fruit mixed with menthol? Strawberry & menthol, apple & menthol, mango & menthol, lychee & menthol. 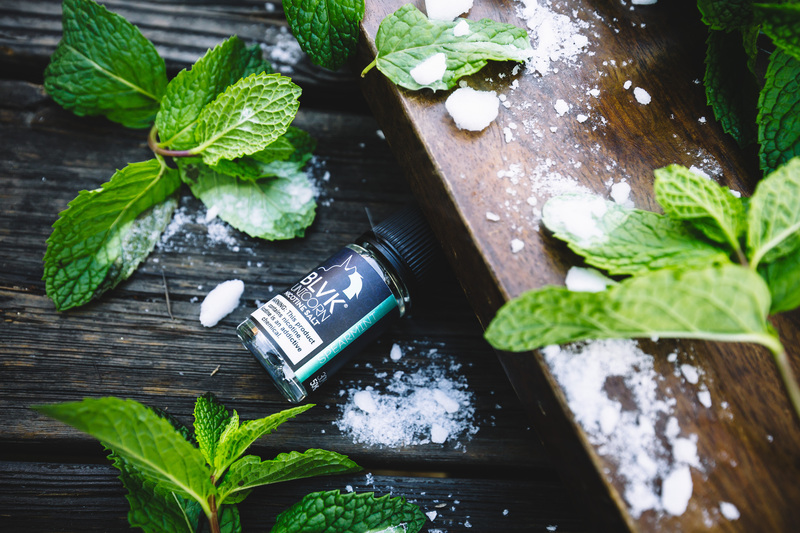 It's time to give menthol more of the spotlight with our newest menthol sensation - Spearmint! Imagine taking an icy, yet exhilarating inhale followed by a distinct, spearmint finish on the exhale. Upon launch of this beast of a flavor combination, we're already seeing it's fan-favorite potential! 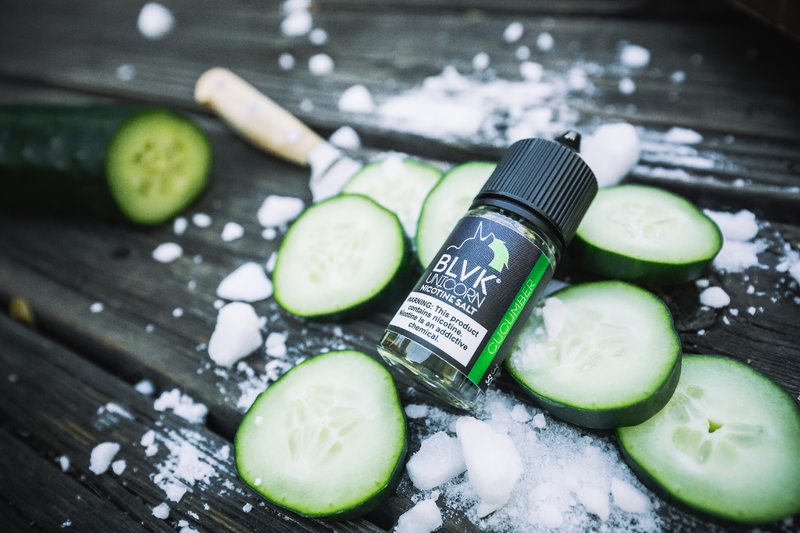 Cucumber Mint features a generous helping of cucumber slices paired with a hint of minty goodness. If you're a fan of the timeless duo or even as standalone flavors, THIS is sure to become a sure-fire all-day-vape. Both FRZNMango and MILK BOX Mango have remained staples among our mango-leaning fans. 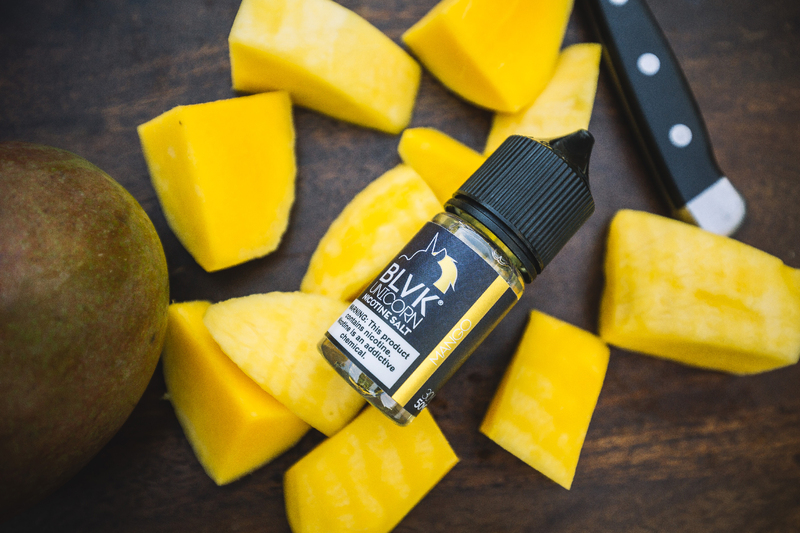 So we're sharing the love for our Nicotine Salt users, this time, with a non-mentholated version of the popular tropical fruit. Enter Mango, a perfectly ripened tropical fruit that exudes the feeling of Summer all day, everyday. With the launch of CRMY Strawberry as part of our CHBY Bottles Collection, the blend has cemented itself as one of the best BLVK Unicorn flavors ever. Modeled after its success, we introduce Strawberry Cream - a delectable slice of strawberry shortcake topped with sweet cream and graham cracker bits, as a Nicotine Salt. A word of warning, this bottle will be finished in record time. Trust us, we've tried. Imagine this: it's 2013 and you just finished your 4th, 15ml bottle of Vanilla Custard. You're burning through money just as fast, if not, faster than you're burning through the bottles of juice. Back in 2013 you might have been wondering, "dang...I wish I had a bigger bottle of this stuff." Unfortunately, at the time, acquiring larger bottles was few and far between. Life continues; you forget about your first love and enter into a world of all these other flashy juices. It is now the tail end of 2018 and one of your favorite e-liquid brands releases a 100ml reboot of the classic dessert. The perfect harmony of bold vanilla overtones matched with creamy custard goodness. This is VNLA Custard, BLVK Unicorn's NEWEST addition to its CHBY collection. If PRPL Grape and CRMY Strawberry were any indicators of its tasty, yet strangely addictive characteristics, the addition of VNLA Custard will prove to be your one-way ticket to reliving the golden days of vaping bold desserts.